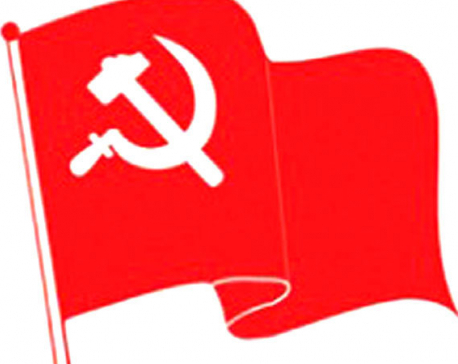 KATHMANDU, Feb 17: Voicing suspicion over the government's poor state of readiness for holding elections, the main opposition CPN-UML has demanded that all necessary steps be taken to prepare the ground and the date for the three sets of elections be announced at the earliest. A politburo meeting of the party that concluded on Thursday has also demanded that the government implement the report of the Local Level Restructuring Commission (LLRC) and form the Constituency Delineation Commission without any delay. A press statement issued by UML Secretary Yogesh Bhattarai after the meeting has urged the government to ensure local polls by mid-May. Highlighting the urgency of local, provincial and parliamentary elections within the deadline set by the new constitution, the CPN-UML has also insisted on withdrawal of the constitution amendment bill from parliament and placing of the focus on elections. The party has also stressed the need of unity among the political forces which had stuck together while promulgating the new constitution of the country. “The party also urges some agitating leaders to show responsible behavior for safeguarding the achievements institutionalized by the new constitution as well as the national interest and social harmony,” reads the statement. Likewise, the second largest political party in parliament has expressed serious concern over activities in the country that are against nationalism, national integrity and social harmony. Condemning such activities, the party has further demanded an outright response against such activities. On a separate note, the CPN-UML has expressed concern over the protest by local bodies staff and has urged the government to address the just demands so that service from local body offices would resume. Meanwhile, Prime Minister Pushpa Kamal Dahal has informed his party leaders about the government's preparations for announcing the date for local polls by Tuesday. Briefing the party leaders on fresh political developments at a meeting at party headquarters, Dahal said that the government was working to announce the poll date within a week, informed a senior party leader. According to party leader Haribol Gajurel, Dahal also informed the party leaders that the constitution amendment bill and election program would move forward simultaneously. Dahal further claimed that the amendment proposal could be endorsed with the support of the CPN-UML after making some revisions to the bill. He further said Dahal told party leaders that a positive environment had developed for ending the deadlock over election date and constitution amendment.